Donate to the cause now! Join our event on Facebook so you don't forget! 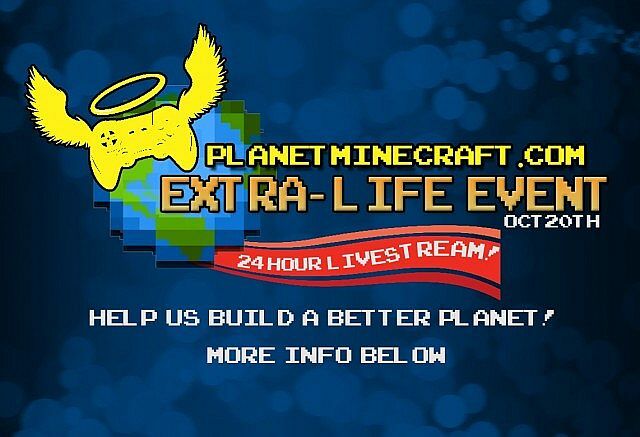 On Oct. 20th, 2012, the moderation team of Planet Minecraft will be hosting an epic 24 hour livestreamed Minecraft marathon in support of this hospital network, and the children they care for. It is our sincere hope that you'll find it in your heart to support us with a monthly pledge or one-time gift that will go directly to international grants for Children's Miracle Network international. Alongside our livestream, we will be hosting a special Minecraft server exclusively for those who donate to our team members, filled with fun games you can participate in. Make a pledge, and be a part of this event! Pivotphone, Snipey and other members of CreativeNode for their help with body acting. And of course everyone from ChunkyCraft! We hope you enjoy the video, and if possible, donate to this great cause! See that pig in the video? Yeah... that was me! Anyways, I love the idea of the fundraiser, and I hope all is a success. 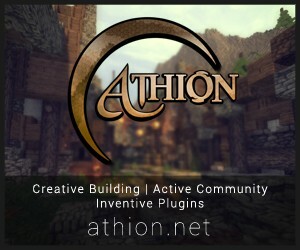 I hope to see everyone on the server as I will be there too, and remember to have fun! Ahhh I missed it, didn't I? The video is incredible. Diamond, fave on here. Like, fave on youtube. <3 I hope to see you all at the carnival! Love it! Definitely a project worth supporting!